Select fun fabric combinations to make strip sets. Cut and re-assemble to make Little Trip Around the World blocks. We used an assortment of prints ranging in value from medium to dark (or very dark). Keep in mind as you select your fabric that you'll be mixing and matching the prints in groups of three as you make each block. 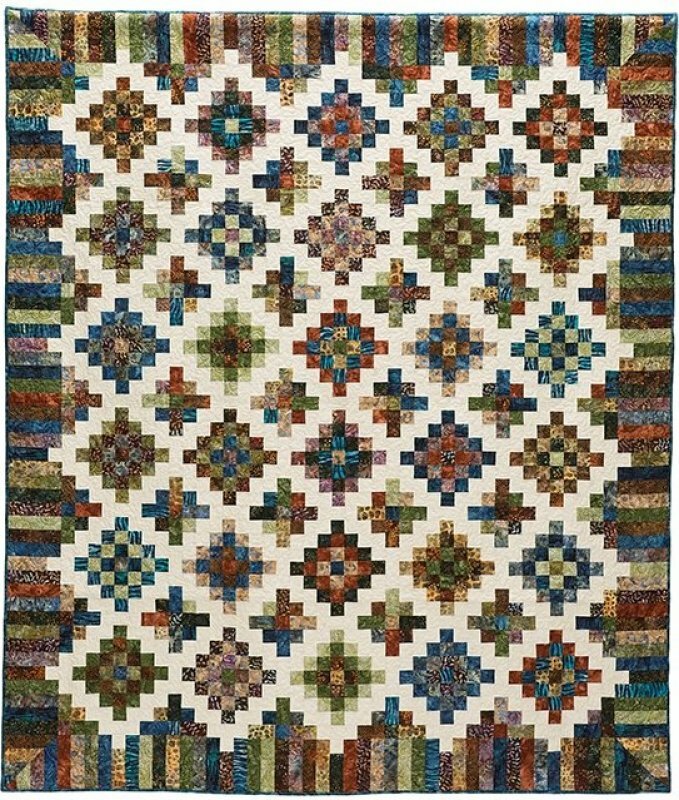 The small quilt (73" x 85") uses ½ yard pieces of 15 Assorted Prints and 3 yards of one Background print. The large quilt (91" x 103") uses ½ yard pieces of 21 Assorted Prints and 3¾ yards of one Background print. The pattern also includes instructions for "cutting from your stash".